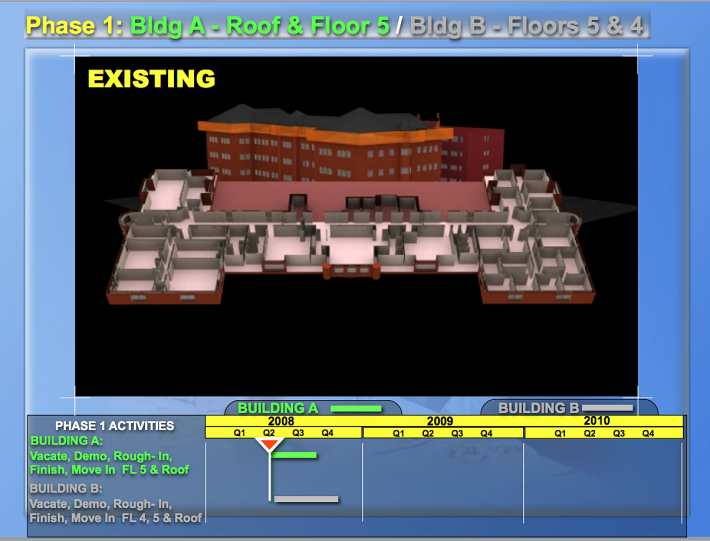 Give your client a 4D virtual demonstration of the construction of their project. These highly effective presentations demonstrate, in 4D time-lapse fashion, the phasing of the project in sync with the CPM project schedule. These state of the art presentations help clients better envision your project approach, how you will achieve the milestones in the CPM schedule, and concepts for schedule acceleration. These presentations help our clients win new work while defending and substantiating claims for more successful outcomes.